The world marked a momentous event in international development in Addis Ababa, Ethiopia, last month, as Governments adopted a new global framework for financing sustainable development. The Addis Ababa Action Agenda was adopted at the Third International Conference on Financing for Development (FFD3), held on 13-16 July in the Ethiopian capital. It establishes a strong foundation to support the implementation of future development efforts. The Addis Ababa Conference was the first in a series of landmark events leading up to the adoption of a new development agenda and a universal agreement on climate change by the end of this year. At FFD3, governments agreed on a package of over 100 concrete measures that draw upon all sources of finance, technology, innovation, trade and data and that will support the implementation of a new set of Sustainable Development Goals to be adopted at a UN Summit in New York in September. “This framework is a basis both for financing sustainable development and for developing sustainable finance,” said Mr Wu Hongbo, UN DESA’s Under-Secretary-General and Conference Secretary-General. Through plenary meetings, round tables, bilateral meetings and almost 200 side events, the various stakeholders in international development – Governments, financial and trade institutions, civil society and business sector entities – got the opportunity to collaborate on the formation of breakthrough commitments and goals across the development spectrum. 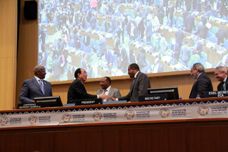 As part of the Addis Ababa Action Agenda, countries committed to a new social compact to provide social protection and essential public services for all; a global infrastructure forum to bridge the infrastructure gap; an ‘LDC package’ to support the poorest countries; a Technology Facilitation Mechanism to advance to the SDGs; enhanced international tax cooperation to assist in raising resources domestically; and mainstreaming women’s empowerment into financing for development. “ The more funding we leverage — the more strategically we invest each dollar — means more children we will educate, more patients we will treat, and more vital services we will provide,” said Jim Yong Kim, President of the World Bank Group. Throughout the week, stakeholders from developed and developing countries alike weighed in on the measures that Member States could and should take to lift millions out of poverty, ensure a sustainable future for our planet and make sure that nobody is left behind. Ethiopian Prime Minister Hailemariam Desalegn acknowledged the relative success that the Millennium Development Goals — that were adopted in 2000 and will expire this year — has had within the African region. 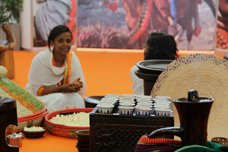 “We are in a very different world to the one by which the MDGs were drawn up,” Desalegn said. “Much has been achieved; now, we need to build on that success. And we will need to make radical breakthroughs, too – because a business as usual approach will not take us anywhere near achieving the Sustainable Development Goals. The adoption of the Addis Ababa Action Agenda was one of those historical breakthroughs, an agreement by stakeholders across the board setting the world on a renewed pathway to sustainability and prosperity for all. The weeklong gathering was attended by 24 Heads of State and Government and Deputies, and more than one hundred Ministers of Finance, Foreign Affairs and Development Cooperation and Deputies, as well as other high ranking Government officials from 174 countries. Many heads of UN agencies and senior representatives of international organizations attended as well. In addition, more than 600 civil society organizations and networks and more than 400 business representatives took part in the Conference. “This has been a historic Conference and a historic success – held on African soil, and delivering an outcome document that meets the high expectations of people around the world,” said Mr. Wu. As the world sets sail onward to the two other events that will shape 2015 into a year of global change – the adoption of the Post 2015 development agenda in New York in September, and the United Nations Conference on climate change in Paris, in December – the international community can look back on the FFD3 Conference and the signing of the outcome document, as a first milestone to realize a sustainable future for all.